An increasingly popular cosmetic treatment in London, non-surgical rhinoplasty represents a safer, simpler and less invasive alternative to the traditional nose job. Our advanced non-surgical rhinoplasty services in London make use of the most advanced injectable fillers on the market, which can be used to effectively shape the nose, eliminating the need for invasive surgery. Rather than affecting or altering the basic structure of the nose itself, depressed areas of the nose are lifted and filled to achieve the required shape. Unlike traditional methods, non-surgical rhinoplasty is a cosmetic procedure that can be performed in a relatively short period of time and has the potential to deliver instantaneous results. Here at HSA Dermal Clinic, we’re proud to offer the most advanced non-surgical rhinoplasty services in London. If interested in an affordable and less invasive alternative to the traditional procedures, contact a member of the HSA team today to organise an obligation-free consultation. The non-surgical nose job is becoming one of the most popular cosmetic treatments among those looking to improve their appearance and confidence. A far less severe and invasive alternative to the standard nose job, the non-surgical nose job makes no specific alterations to the basic structure of the nose itself. Instead, cutting-edge injectable fillers are introduced to depressed or uneven areas of the nose, in order to achieve the required shape. As with most procedures involving injectable fillers, the process is quick, relatively painless and requires no extended recovery period whatsoever. In addition, the non-surgical nose job is also significantly less expensive than traditional rhinoplasty. Not to mention, a procedure considered to be exponentially safer. If you have any questions regarding the non-surgical nose job services we provide, we’d be happy to provide you with an obligation-free consultation. Contact a member of the team a at HSA Dermal Clinic today, or pay us a visit anytime. The cost of non-surgical rhinoplasty will always be determined by the nature of the procedure required. 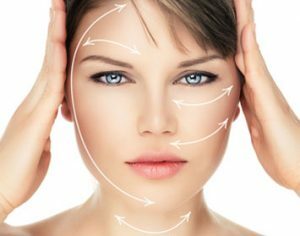 At our Richmond upon Thames clinic, we calculate the cost of every non-surgical rhinoplasty procedure in accordance with the requirements of the respective client. We work hard to keep non-surgical rhinoplasty costs as low as possible, though refuse to compromise on the quality of the services we provide. In all instances however, you’ll find the cost of non-surgical rhinoplasty exponentially lower than that of a traditional nose job. If looking to discuss the approximate cost of non-surgical rhinoplasty or any other aspect of the subject in more detail, we’d love to welcome you to our Richmond upon Thames clinic. Contact a member of the HSA Dermal Clinic team any time to organise an obligation-free consultation, or visit us in Richmond upon Thames to speak to one of our experts.